Our Vulture in Beirut back home! 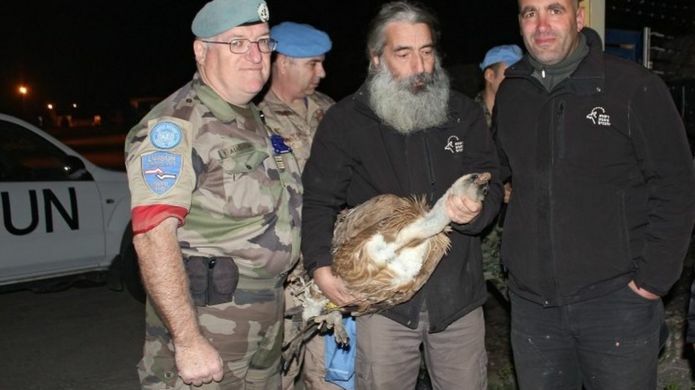 In a stunning display of diplomatic prowess, Israel has successfully freed Our Vulture in Beirut. I am sure there is more than meets the eye, but the BBC is reporting that the Zionist vulture spy has been returned to Israel via the United Nations forces. The vulture was a bit worn down and was treated for minor injuries. It seems that the Lebanese spared no efforts to extract information from this agent. Have you ever traveled down through southern Israel and noticed the sign warning drivers of the possibility of camels in the road? That sign might soon become redundant. MK Betzalel Smotritch (Habayit Hayehudi) has proposed a law that would require camel herders to tag their camels with GPS devices. The device would not direct the camel to avoid paved roads, but would warn the camel shepherd (is there an official name for that? camherd, perhaps?) that one of his camels is approaching a road. Not quite Waze for Camels. The law would include registering ownership of camels, criminal and financial sanctions against any camel owner whose camel was involved in an accident with a car, along with methods of enforcement. Bedouin camel owners spoken to seem to think it is a good idea. This will protect them from loss, as camels involved in traffic accidents cause them financial loss, as well as protecting their camels from theft. Of course, if they really thought this is a good idea, they could already tag their camels with GPS tracking devices and keep better track of their camels now without requiring the passage of the law. If it minimizes traffic accidents, it is a good idea. Cheap food arrives in hospitals! Some politicians say what they plan to do and then actually go and do it. And that is why those politicians are often the most admired and well-liked politicians in the system. Just over a month ago Minister of Health Yaakov Litzman announced that he is working to get Coffix into hospitals, in order to bring down the ridiculous prices charged by food establishments already located on hospital premises. While it seems he has not yet got Coffix into the hospital malls, he has just inaugurated the first set of cheap food machines in a hospital, starting with Ichilov Hospital. Great start Minister Litzman! Hopefully this program will expand to more hospitals and to a greater variety of food options. This will be a great boon for people in hospitals, sick and visitor alike, and especially to those who have to spend a lot of time in the hospital. So a restaurant in Ranana decided last week to no longer open on Shabbos. The restaurant named "River" will now be closed for Shabbos and has converted to kosher under the Rabbanut hechsher. Meretz did not like this change and has called for a boycott of the River restaurant, and calls on its followers to not patronize River during the week either. This has raised quite an uproar, calling the move hypocritical (considering Meretz's statement when others called for a boycott on Arab businesses that expressed solidarity with a Palestinian strike against the security situation), calling it secular coercion, or just calling it too harsh a response. I am not a fan of boycotts, though I recognize they have the right to boycott a business that does not live up to their ideals, just like the religious often boycott businesses that are open on Shabbos, for example. This will most likely have a boomerang effect, as boycotts often do. The religious community in Ranana and its environs will most likely rally around River restaurant and go there more to support it against Meretz. This boycott is probably the best publicity River could have ever hoped for. As well, the supporters of Meretz have far less of organized buying power than the religious. When the haredim call to support or boycott a place that goes along with or against its ideals, it often has a powerful effect, as their organized power is very strong. With the non-religious, their organized power is not quite so strong, and even the general "left" does not necessarily support an act by Meretz. So, this call for boycott will most likely be ineffective even among the non-religious, but also will have that boomerang effect. This reminded me of something a rosh yeshiva (of a dati leumi/modern orthodox yeshiva) once told me - he said he encourages people to rely on the Rabbanut hechsher and eat in restaurants that are under the Rabbanut hechsher. He explained that it is tremendous mesiras nefesh for a restaurant owner to decide to close on Shabbos and take a hechsher, and they should be supported for doing so. There are not many restaurants in Raanana that are open on Shabbos. I don't know if his closing this restaurant on Shabbos is a result of economics - not enough patronization on Shabbos to make it worth losing all the kosher business during the week, or if it is because the owner is religious or just wants the day off or for any other reason - it is probably some sort of combination of reasons. At the end of the day, most of the time economics play the largest role in these decisions, and Meretz can call for all the boycotts in the world, but if they are not there supporting the non-kosher restaurants, they have nobody to blame but themselves when those restaurants choose to go kosher. Home Depot's Jewish Secret to Success from Jerusalem U on Vimeo. Surrounded by Jerusalem's hustle and bustle, Gazelle Valley is Israel's first urban nature reserve. Named after a herd of about 30 wild gazelles, which roam freely throughout the park, it is an open space of 250 acres that serves all residents in this area, whether two-legged, four-legged, winged or pedestrian. It took only 2 days, but Shlomo Yehuda Rechnitz has already apologized for, though not really retracted, his speech in Lakewood. [Submitted to TLS by R’ SY Rechnitz] Dear Readers, As there is a lot of confusion regarding my speech, I would like to clarify some of my points and my intentions. I apologize for any typos etc….but I am writing at a very inconvenient time from a very inconvenient place (Maimonides Hospital). I nevertheless feel it’s important to write now, to avoid anymore potential Lashon Harah. I apologize and ask Mechila for not for seeing the possibility of people using my comments out of context. The point of my speech was to deliver one message, and one message only, and that is to make sure that there is a place in school for all our children in Lakewood. It was not meant in any way to “bash” Lakewood or its leaders. Anyone using my comments to support their own ulterior agendas are twisting my words. I am not Anti-Lakewood or Anti-Kollel, and if that happens to be your position, I would reccomend you take a tour of the city and its Mikomos Hakdoshim and I assure you, that you will be impressed. Anyone who is somewhat familiar with the substantial financial resources that I’ve invested and will continue to invest in Lakewood, would quickly come to the conclusion that I adore Lakewood, realize how important it is for Torah, Kavod Hatorah, Harbatzos Hatorah and for Kiyum Ha’olam, and how much I need to be a part of it. I consider its inhabitants as my Family, and am proud and thankful that I can be a part of this extraordinary Makom Torah. Besides supporting the Mosdos, I think I’ve proven that I try to do everything in my power to help any Yungerman or their children in a time of need, and IY’H hope to continue to do so, in addition to the rest of Klal Yisroel. I never Chas V’shalom meant to be Mevazeh any of the Roshei Yeshiva or Rabbonim. To the contrary, I spoke of the Roshei Yeshiva’s attempts and involvement in helping children get into Mosdos, only to be turned down. I have heard directly from many Roshei Yeshiva, both from Lakewood and other cities, that they consistently have problems getting children into Lakewood schools. If any of the Roshei Yeshiva or Rabbonim were offended, I hereby ask them publicly for Mechila. If any Rov or Rosh Hayeshiva would like me to come to them personally, I’m prepared to do so. I have, and always had tremendous Kavod for the Lakewood Roshei Yeshiva. Im sure if asked, they will all tell you that I fulfill any and all requests they ask of me without asking any questions. As an Askan, I have never acted without the directive of the Gedolim. In all my Tzedakos, I believe that I’m known to never ever give with strings attached. I don’t discriminate against any person or Mosad even if they’ve done me wrong. If I had to do it again, I would’ve spent the first hour telling people about the greatness of Lakewood. Lakewood has grown by leaps and bounds in population and Ruchniyus. Under the tutelage of the Rosh Hayeshiva, Hagaon Hatzadik, Reb Malkiel Kotler Shlit’a, Lakewood has been more successful than anyone’s wildest imaginations. It’s Talmidei Chachamim have sprouted all over the world, spreading Torah and Yiddishkeit. The city off route 9 that we call Lakewood is merely the “corporate office” for the world over. I mentioned that Lakewood is everything right, that there is nothing more beautiful than Lakewood, but they are deficient in just one area. Due to the fact that I wanted to get a point across in the time allotted to me, I clearly did not spend enough time describing my genuine Ahava for Lakewood. Perhaps I wasn’t clear enough when I specifically said that I don’t place the blame on the Roshei Mosdos, as they’re doing what we’d all do, to protect their Mosdos and not compromise the Chinuch they provide for following years. I also did not want to place blame on them, as every single one of them have bent over backwards to try and help alleviate the problem. I’ve been in communication with most of them, and they’re always trying to place “just one more child”. Let me be clear. I put most of the blame on the Elitists. An Elitist is someone who calls a Mosad, and holds them hostage forcing their will and desires, while clearly harming other children. They are generally of the belief that they are superior or frummer than everyone else. They put themselves on a pedestal and insist on their way or the highway. Instead of viewing other kids as the Aibeshters children, they view every child as a potential threat to their child’s reputation. This happens every year at nearly every Mosad. I can understand a parent wanting a school where all the children come from homes without Internet, televisions or other negative influences, but if you don’t want your child in a class that has children who’s fathers work to provide Parnasah for their family, then you are an elitist! The working father can be ehrlich, Kovea Ittim, have all the right Hashkofos, but that’s not good enough for you, because you consider yourself on a much higher Madreigah. The one point where I should’ve been clearer is that the vast majority of Lakewood are not elitists. They are humble B’nei Torah who’s Zechusim we rely on to exist. But as in every religion and every culture, the extremists and the most vocal carry the show. While the elitists are the Mi’uta D’miuta, they’ll cause 90% of the problem. In my opinion, it’s incumbent on all of us, as the silent majority to speak up and not tolerate these attitudes that are the impetus and perpetuation of the problem. I should have taken out the time to thank all the Askanim who work day and night, trying to get children placed. They Aibeshter should bench them with Shefa and Bracha. Unfortunately, they don’t have the power alone to fix the system. As I have clearly gotten too emotionally involved, I don’t think I’m the person to deal with the schooling issue. I have therefore decided to remove myself from this Parsha. In terms of financial support, I will continue to support this beautiful Makom Torah, and hopefully with Hashem’s help, and your Tefillos, I’ll be able to increase my support. and here is an example of what happens when employees without a lot of leverage start to "make trouble" and demand more than what they originally agreed to. A few years ago Hillel Yaakovson set up a company called Net Source for the purpose of employing haredi women, and he did so to the tune of 600 women. After some years of employment, the women decided to unionize, after not having their demands met. They have the legal right to do so. In response, Yaakovson has announced that he is shutting down the company, Net Source, and everyone is to be fired within 60 days. He has the legal right to do so. Yaakovson says that the company is not profitable, and the owners have invested a lot of their own money to keep the business going and to improve it. Yet, many of the employees see the owners as taking advantage of them and acting in harmful ways. Yaakovson sounds surprised but says they have worked hard to keep the business open and to employ so many people, despite a downturn in income. And therefore they are closing up shop. Within 60 days. I am sure there are two sides, or more, to the story. They blame the others and the others blame them. I have no interest in picking sides in an employment dispute, and have no way to judge who is right, who is wrong, nor who did or didn't do what. My point is that when companies are enticed to be forthcoming to a group of people and create special terms of employment, and the employees really have nowhere else to go (by their own choice, as they refuse to enter the general workforce on the regular terms), they cannot start demanding changes to the terms without expecting repercussions, even if they are legally allowed to. It happened with Net Source, and if other people are not careful, it will also happen with others. If Moshe Gafni does not pay attention and be careful, he is going to get a lot of Haredi women on the unemployment lines when suddenly a dozen companies employing Haredi women decide it is not worth their time to provide special and unique environments to employees who start making more and more demands. Even if the women are legally allowed to. If Moshe Gafni is not careful with his crusade for the Haredi women who do not make enough money (and they don't ), he very well may get a lot of them fired. Then they will really be up a creek. A solution needs to be found, but they better be careful with the demands they make. It seems London has been the first to take the logical next steps of the extreme approach to tzniyus and gender-segregation in the Haredi community. The rabbonim of London, whomever they are, are concerned about the horrible breach in tzniyus in having male photographers photographing the women at events like weddings, et al and are calling for a ban/prohibition against it. The union of haredi rabbis has called on baalei simcha and event planners for womens conferences and shows to plan in advance to have female photographers to photograph the women or to not photograph at all. In the haredi communities of Israel, such as Bnei Braq and Jerusalem, it is not uncommon for people to have female photographers on the womens side of the mechitza, but I have not heard of it being institutionalized like this or having male photographers explicitly prohibited. And the truth is, I don't blame them. It is just taking the existing approach and applying it naturally and logically in more and more situations. It matters not that until now all the frum communities had no problem with it. I think they would also have to regulate the photography companies. It would be inappropriate to hire a photographer that employs both male and female photographers how can they possibly work together?? They would have to hire one company with male photographers for the men's side, and another company of only female photographers for the women's side. Recently Rosh Chodesh at the Kotel has been relatively quiet. Most of the fighting between the Haredi worshipers and the Women of the Wall worshipers seems to have stopped. It seems this quiet might now get some sort of "permanent" status. Avihai Mandelblit, the cabinet secretary and incoming Attorney General, had been tasked with negotiating between the groups and coming up with a solution. Mandelblit has announced that an agreement has been reached, and the agreement will be set in law. According to Mandelblit, the Women of the Wall (and Reform) will stop using the Kotel area and will only daven in the area of Robinson's Arch, and they will have there a sefer Torah. However, they will not perform weddings or circumcision ceremonies in the area of Robinson's Arch, and will not play music on Shabbos or holidays. As well, no signs will be installed directing people to that area. I am happy they were able to come to an agreement and avoid further fighting. If they are all happy, it sounds good to me, though I don't really get how this is significantly different than the previous arrangement. this is a nice video about local cultures, though the restaurant described isn't kosher. The host isn't Jewish, so that's ok, and there are plenty of Christians and Arabs and others, especially in Akko..
might we soon see elections for chief rabbinate positions? I like Rabbi Lau. Who doesn't? The son also, the current Chief Rabbi, but I am referring to the father, the current Chief Rabbi of Tel Aviv. Rav Yisrael Meir Lau is about to turn 80, and thank God has good health and strength and is doing a fine job in Tel Aviv. Unfortunately, the law is forcing him to retire when he hits 80. It would be a big loss to have him forced out when he is still functioning just fine, though I understand the purpose of the law is to deal with situations in which the Chief Rabbi of a given city might not be functioning so well and continues to hold the position, leaving his residents without a functioning rabbi. The law itself isn't bad, but perhaps need to be adjusted to take into account the rabbi's health. Anyways, Rabbi Lau the son has requested from the Legal Counsel of the Rabbanut to find a way to extend Rabbi Lau the father's term for another 5 years (dependent on a health report). It seems that the most effective way to allow this to happen would be to change the status of the Chief Rabbi of a city from being an appointment to being a publicly elected position. I think that this could be great. I don't know how such elections would be designed. I suspect that they would design them in a way that does not actually give people the vote, but keeps it within the political level of voting and just change the official status. Let the people have the power, rather than the cronyism of politics. The people should have more say in who their Chief Rabbi is. Rabbi Lau very well might win his election, as he has always been very popular, but other rabbis might be replaced, whether at 80 or at a earlier age. MK Sheli Yachimovitch (Hamachane Hatzioni) is proposing a law that would require a plaque installed in any building in which a construction worker died during the construction of that building. The plaque would commemorate the dead construction worker. Yachimovitch says the public is not aware of the issue of construction workers dying on the construction sites, and this would raise awareness and thereby also cause greater enforcement of the safety laws in the construction industry. The idea is that if people knew someone had died while building the building, they wouldn't buy an apartment in that building. Yachimovitch says she herself didn't buy in a building she had planned on buying in because she discovered that a worker had died there. If people won't buy in such buildings because they'll be aware of the death, the kablanim will have to start taking more safety precautions to protect their construction workers. I don't like the idea. Buildings should sit empty in order to enforce safety laws? Find a better way to enforce the laws. Someone who sold material to construction companies in the United States once expressed his surprise when first coming to Israel and seeing buildings being built and the workers on the site were not wearing hard hats or cabled down when high up. The culture needs to change, and there should first be other methods to do that before causing buildings to sit empty. That seems fairly extreme and should only happen if other methods if enforcement do not work. On the other hand, this might also solve the housing crisis. Kablanim will have to slash prices drastically to get people to buy in such buildings, making them affordable to young couples and the like. According to demographer Yaakov Feitelson, by 2026 there will be as many Jews in Israel as in the rest of the world combines, which could change the halachic status of Eretz Yisrael regarding issues like shmitta. Feitelson also said that Israeli women have increased the level of childbirth numbers, while in the Diaspora the averages are decreasing. The more interesting, to me, thing that Feitelson discovered is that the Palestinians, via the Cneter for Statistics of the Palestinian Authority, have been distorting their numbers. Feitelson says that there is a negative immigration - more Palestinians are emigrating, rather than immigrating, from the areas of Judea and Samaria and moving abroad. According to Feitelson, the number stands at about 10,000 Palestinians emigrating per year. The Palestinians continue to include all these people in their numbers, even though they have moved abroad, and their children who are born abroad are counted by the Palestinian Authority as locals from the moment they come once as a visitor.. I wish them all a happy life abroad, wherever they choose to live it. What is interesting to me is that if Feitelson is right about his claim, it could mean the Moshe Feiglin is right that large numbers of Palestinians really just want to leave. Feiglin's plan is to help more leave by paying them money. Until now it just sounded like a claim that can't be supported or rejected because who knows if the numbers are correct or not, but according to Feitelson it now sounds more realistic. The Haredi MKs from Shas and [mostly] UTJ, had set their objective in this Knesset term to reverse all the legislation affecting the Haredi community passed by Yair Lapid in the previous Knesset term. So far they have been successful on that path by successfully reversing every law they have so far demanded be reversed. The next law on the path is regarding the funding of education and its connection to the studying of the core curriculum, known in Hebrew as limudei liba. MKs Gafni and Maklev (UTJ) along with MK Margi (Shas) are now proposing a law that, if passed, will grant funding to educational institutions by the decision of the Minister of Education alone and not being dependent on any criteria. Minister Bennet says this will not pass. We all know that Bennet is probably wrong. If it does pass, the next time a government is formed the Haredi parties will demand an appointment as Minister of Education. I don't think any system that deals with billions of shekels should be set up to grant funding without having any criteria in place to determine qualification. That leaves way too much room for corruption, bribes, favors, and the like. And I am not even talking abou tthe Haredi community. WHo knows who will be the next Minister of Education or the one after that, and such a law that leaves it all to the whim of the Minister with no criteria leaves a big hole for money to be passed to unsavory parties and for unsavory reasons. Thank you, Mr. Rechnitz, for this great speech. I like how he says "everything is right with Lakewood" while he is in the middle of a very harsh speech for their attitude and style of being frum and rejecting kids from school. Will anything change? Is his opinion worth more just because he is rich and gives a lot of tzedaka? Rechnitz has been great because he is a mensch and because he has put his money where his mouth is - in this case he did not say he would withhold funds from institutions that do not change in this regard - but is that the only thing that might get them to change? Maybe they wouldn't change even then? Winkapp brings the offline world into the digital age. 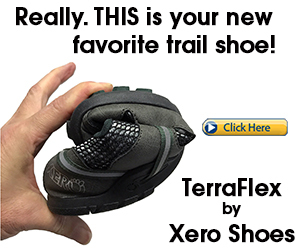 Simply scan what you see and get all the most relevant content onto your phone in an instant. CEO and Founder of WinkApp Joins ILTV's Israel Daily to expand. look, Israelis love to claim they are poor, but everybody succeeds in making a living in Israel. It is simply that every Israeli is a shnorrer. If you are born in Israel, you are not lacking opportunities. you need to be drafted to the army at 16, but after that the government really takes care of you. University education doesn't cost a thing. Israel keeps using eagles, vultures actually, as spies. It seems humanity has found another way, besides for automated machines and robots, to replace humans. Unfortunately, Lebanon has caught this Israeli spy vulture, just as it did a previous Zionist eagle/vulture spy. Either the vulture spies are not very good at their job, or we are only hearing about the failures, while maybe there are a dozen or more vulture spies still out there - perhaps dressed as Lebanese vultures, or maybe posing as parakeets or mountain goats..
No country should ever leave its agents out in the cold like that. I hope Israel makes a deal to get our vulture in Beirut back, or run a complex operation to free him and bring him back. MK Tamar Zandberg (Meretz) has proposed a law that has the unusual support of both the Right and Left, from coalition members and opposition members. Currently, when a person's wife gives birth to a baby, his employer gives him the day of the birth off of work, and the day of the bris. The days in between must normally be worked as usual, or vacation days used to cover them. Zandberg's law, signed on by David Bitton of the Likud, Shuli Muallem of Habayit Hayehudi and others, would give the father of the baby officially sanctioned time off from the birth until after the bris. The "time off" would be made up of 3 days of paid vacation and another 5 days to be considered sick days without requiring approval of the boss. Zandberg says the law proposal is meant o resolve an absurd situation in which the newborn baby is considered the mother's alone, with the father entirely out of the picture, with his rights and obligations to his wife and baby being taken away from him. The proposal has this unusual support across the spectrum of politics because it makes sense and is necessary. I do wonder if the 5 days of sick days would be deducted form the overall number of sick days allocated to employees. What if the new father has used some already and does not have enough remaining? With the 3 vacation days as well - what if the employee does not have enough in his bank of vacation days? And, why should the employer have to pay for these days, if they are not being deducted from the overall bank of vacation and sick days? Why not just call it all paid vacation, to be paid perhaps by Bituach Leumi, as if the person was doing his reserve duty? Moshe Gafni is deserving of being pointed out for a couple of noteworthy comments he made. Instead of separate posts, I am bundling them into this one post. 1. Gafni blasted the Finance Ministry for the way Haredi women are treated in the workplace. Gafni says they are taken advantage of because they are "captives" and it is known they do not have other options. Haredi women are paid only half of what their secular counterparts are paid in similar hi-tech positions. The representative of the Finance Ministry in the committee session did not have any response to the arguments and questions posed to him. I do not know why the Finance Ministry is the target of Gafni's ire. Private companies choose to employ groups of Haredi women. The groups of Haredi women make unique demands as to the style of the work environment, and the company offers them a salary, which they accept. The salary itself is insulting, but they agree to it. It is also a function of the specific environment they demand, and the fact that these women are not really looking for employment in the free market - meaning, if the women are not willing to demand more with the threat of leaving or looking elsewhere, they do not have the power to demand more money. And, more specifically, why is the Finance Ministry at fault? We are not talking about haredi women who are employees in the public sector, where the Finance Ministry might need to be involved. We are talking about women employed in the private sector. What does the Finance Ministry have t do with how much Matrix or City Book or any other such company pays the women they employ? As long as they are complying with the law, i.e. paying minimum wage at minimum and whatever other things they are obligated to pay as employers, what is the involvement or blame of the Finance Ministry? 2. the statement made by Gafni, in that same committee session, was regarding the way the haredi women are taken advantage of, and he said "because they know the women are captives"
It is a funny thing to say. One might describe that response to be appropriate as well to describe the way the Haredi leadership has responded to the women who want to move into more community leadership positions, and to the women who want to go into academia and be able to earn higher salaries as teachers and administrators. The Haredi leadership has banned women from higher education, they have banned women for running for positions in politics, and they explicitly have said that women earning higher salaries is danger to the family unit and they should not look for careers and increased salaries. One might use Gafni's words to describe the women in the Haredi community - they are captives and have nowhere else to go, and that's why Haredi leadership is so easily able to keep them down. 3. MK Gafni then spoke out from the Knesset podium about the way Haredi male employees in general are treated. Gafni complained that the Finance Ministry wants the Haredi men to integrate into the workforce, but after 20 years of learning in yeshiva they are only offered jobs such as being a dishwasher or floor washer, and the like - employment opportunities that are normally filled by the parts of society that are the lowest of intellect.. According to Gafni, someone who spent 20 years learning gemara are the most brilliant and at the highest intellectual level, and shouldn't be insulted like that. Again, I am not sure what Gafni expects. No matter how intellectual a person is, no matter how learned he or she is in any specific topic, if they do not have the skills workplace needs, they are going to have trouble finding employment. Doe sit matter how brilliant Shmulik is in gemara and halacha, if he never learned law and passed the bar exam, or if he never learned computer programming or to be a doctor or engineer or accountant or business management or banking? Should a hospital looking to employ a male nurse hire a haredi man just because he is an intellectual and spent 20 years learning gemara? What is it that Gafni wants? Idan Raichel, known for his world music project, releases his first solo album. Avishai Ben Chaim, Channel 10's jounralist responsible for reporting on the Haredi community, has put together this report on the staggering numbers of Haredim "leaving the fold" and considers it a great threat to the Haredi community. I haven't had time yet to watch the entire thing, but one interesting statement made is that Haredim are birthing more secular children than secular parents are. It is knowledge that is the biggest threat.. While we are sitting here, there are about 1000 people in Gaza that are digging terror tunnels. The next war, against Hamas or Hezbollah, is just a matter of time..
this has pretty much been Israel's history in a nutshell. it does not take any special analytical prowess to predict a war around here..
Rav Dov Lior has issued a psak that when eating chocolate, the correct bracha would be "Borei Pri HaEtz" rather than the Shehakol bracha we generally make. Rav Lior says this regarding all chocolates today, even chocolate that doesn't have a majority cacao. Rav Lior's psak is based on the Mishna Brura, as the way we eat chocolate is the normal way to eat the product, and for this it was grown. Rav Lior's psak is not new. Many before him have held this opinion. He is definitely paskening against the common custom, and should not expect too many people to change their behavior in this. And that is not the most interesting part of the psak, in my opinion. It is the following..
Rav Lior added that for those who are uncomfortable or unclear about saying the Haetz bracha, if they eat chocolate with hazelnuts or walnuts inside, the bracha would definitely be Haetz, and one should make the bracha on the nut and have in mind to also include the chocolate. Also, white chocolate would be shehakol as it is not recognizable as chocolate, similar to the state of sugar. I admit I have made the same shehakol on chocolate with nuts as I make on chocolate without nuts. I was not aware of the difference in halacha. Do other people, who make shehakol on plain chocolate, make haetz on chocolate with nuts? In an exuberant explosion of music, Israeli legend Gad Elbaz joins forces with rapper Nissim Black as the two take to the streets of New York City proclaiming Hashem’s eternal majesty. a new Rebbe has appeared on the scene this past week. The "Admor of Malta", Rav Dov Ber Hakohein, made an appearance, in Bet Shemesh of all places, when he came to Israel for the yahrtzeit ceremonies of the Rashash, as mystics tend to do. This Admor of Malta was unheard of until now, in hassidic circles at least and definitely in Orthodox non-hassidic circles, as far as I can tell. He dresses like no other hassidic rebbe, drawing some scoffing from the masses, and his website describes his style as not being specifically Jewish (no religion at all, actually). He gives his brachas and saves people unconditionally and accept no donations. The whole thing is a bit strange, and the establishment does not like him. There were quotes the other day from community leaders that as long as he continues to deal with the gentiles, all is good, i.e. don't try to get a foothold among unzherer. 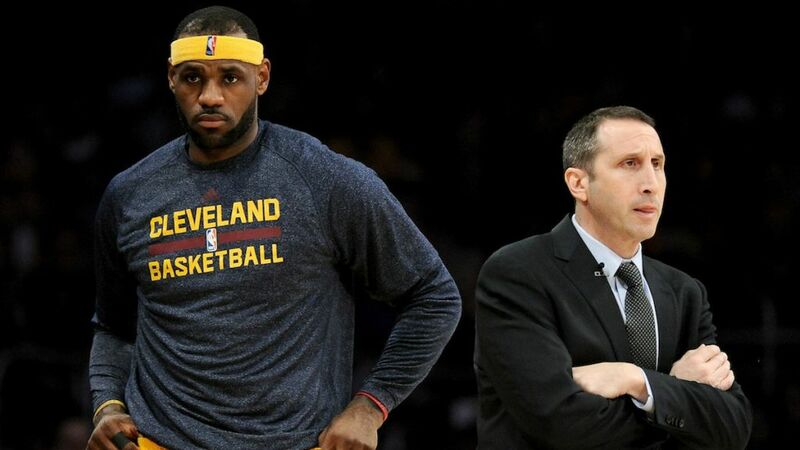 Cleveland just lost a lot of Israeli fans, the moment they fired David Blatt from the head coach position. Cleveland was never a team I liked, considering I am a Bulls fan. Most of the time they weren't even decent enough to be disliked, but when they were good, they were disliked. When they hired Blatt, they adopted a lot of new fans from Israel, and even I was happy to see them win under his tutelage. Goodbye Cleveland. We won't miss you. The Bulls won't be winning it this year, even with their good team, but we Israelis will we'll continue cheering for Omri Casspi in Sacramento and we'll definitely be rooting for Golden State over Cleveland this time, and I can promise that. 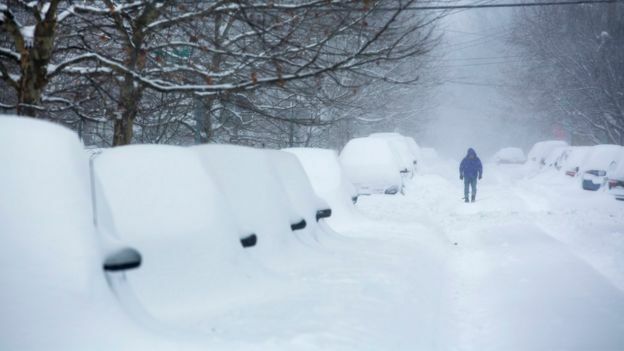 it seems funny to me that while our friends and family out in the Northeast of the USA are undergoing a blizzard of epic proportions, with close to 30 inches (and counting) of snowfall, our forecasters here in Israel are talking about the coming blizzard this week in which snow will hit Jerusalem, probably to the tune of about 1-3 inches. and somehow our 3 inches are actually comparable to the 30 inches they get there, as to the way they affect the population..
Chief Rabbi Rav Yitzchak Yosef has come out against the "bug rabbi", once again. This is not the first time Rav Yosef has opposed, very strongly, the big rabbi. In the past Rav Yosef argued regarding the kashrut of corn on the cob, and put him down very strongly for his extreme approach in prohibiting a variety of foods that are really permitted to eat. Now, in a shiur regarding the halachic issues of Tu b'Shvat, Rav Yosef said people should learn more the halachot of dried fruits, so that people should not prohibit things that are actually allowed. This Shabbos is Shabbos Shira. The custom is to feed the birds some crumbs, for a variety of reasons: either because they did not eat the manna that was out for the Jews in the desert, or because we "borrowed" their ability to sing when we sang after the splitting of the sea, or for other reasons. The custom used to be to feed the birds on Shabbos, but in more recent years it became more common to feed the birds on Friday, due to a concern regarding the halacha of not feeding wild animals on Shabbos. I'll assume the hechsher is on the bottom of the container, otherwise this might be a terrible michshol..
this goes up there with the jars of salt water for the seder and with the packages of 10 pieces of bread for bedikas chametz..
this is a picture of Health Minister Yaakov Litzman visiting a hospital in Nahariya. 1% of the Earth's adult population has a stutter. New Israeli startup Novotalk combines speech pathologists with online benchmarks to revolutionize your speech, and rid those who are affected with a stutter of their struggles. Founder and VP of Development at Novotalk Moshe Rot joins ILTV in the studio to discuss his life-changing company. this speech raised a bit of a ruckus..
this video is not embeddable, but if you watch from the 1 hour and 45 second mark, Channel 10 news starts an "interview" with Miss Piggy. In the interview, Miss Piggy is asked how she feels about the discrimination in Israel against pigs, as it is prohibited to raise pigs here. Miss Piggy's response was hilarious... she thanked Israel;is for not eating pigs, and that is a good thing! I want to separate from as many Palestinians as possible as fast as possible. We need a large fence between us. 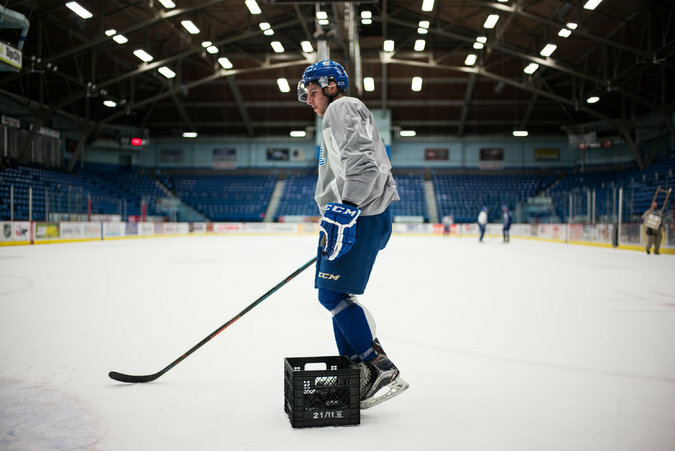 this is not the typical New York Times article about Israelis... this one is about a young Israeli, just 16 years old, who has a dream of playing in the National Hockey League. David Levin, from Netanya, sounds like he has great potential..
Are Stella Doro cookies kosher? In Israel?